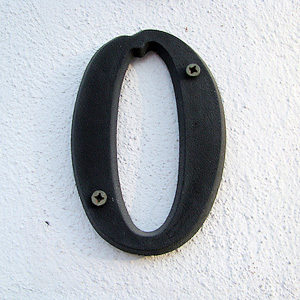 Strictly speaking, from a metaphysical point of view, zero is not a number and is not related to the world of numbers. Zero is the source of all the numbers, understood as separate from the common grounds of force belonging to a different dimension indivisible. Metaphysical zero contains all the numbers as part of the potential to separate from the whole. The system arkanologii 0 corresponds to the twenty-second lasso, which is why a second name – Arkan zero and which contains all nine first Arcana. Metaphysical zero symbolizes the Absolute, uniting spirit and matter. This zero is a comprehensive circle with infinite radius and circumference. Let us recall one of the definitions of God given by Blaise Pascal: “God is a circle whose center is everywhere and circumference nowhere.” Absolute zero metaphysical divine status is manifested in its relations with other numbers – if it is attached to other numbers on the right, it increases the number by one order of magnitude – ten, if multiply or divide by zero, it dissolves any number until it is destroyed. This is a manifestation of the Supreme, the control function as a symbol of the Absolute in relation to other numbers occurring from scratch. At one of the stations listed in the “Secret Doctrine” states: “Everyone has a single number is gone out of not a number.” So, the symbol of the He-Numbers is the ring, zero range, generating new code of itself. The first thing that should be manifested from the circle – a unit that is a vertically held diameter. This once again confirms the idea that the basis of the Universe supposed number. The universe is built on the principle of strict harmony, obeyed mathematical laws. Zero is the Mystery of Mysteries, a symbol of the undeveloped world, the source of all the numbers of all subsequent manifest form, Parabrahman of the Hindus, the Ein Sof, the Kabbalists, single element that represents the Spirit and Matter in the undifferentiated state. Zero represents a synthesis of the infinite space and eternal time, the symbolism of the potential, the unmanifested, latent. Zero is the ‘Orphic egg “, represents the beginning of all things, staying in a dream and generating point (unit), of which there are all the other numbers. Unit, in turn, is a reflection and contrast zero. Researcher character X. E. Kerlot argues that from the point of view of human existence, a zero represents death as a state in which the life force has undergone a transformation.